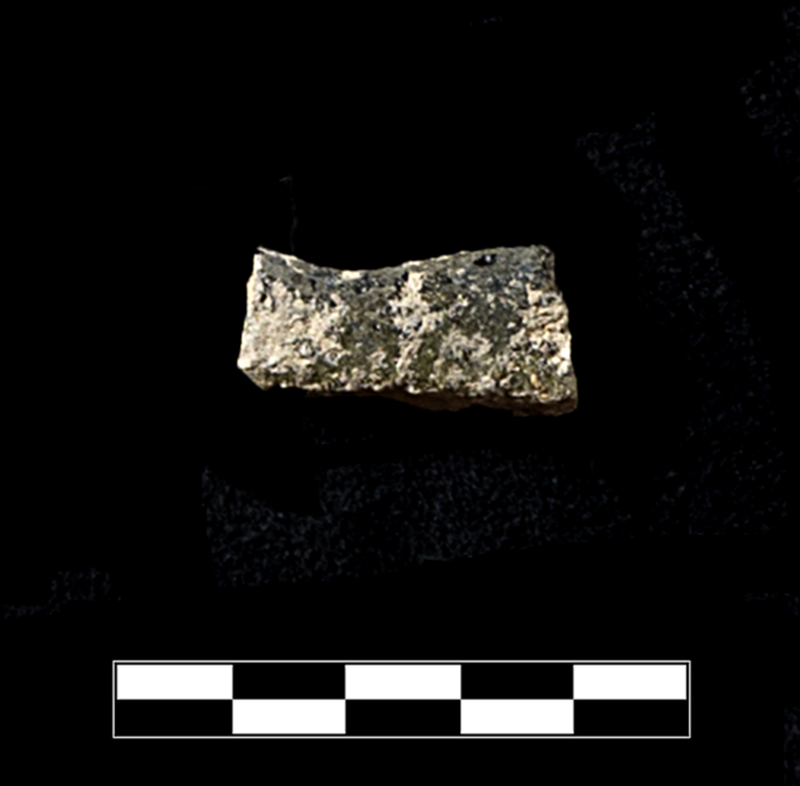 Small, irregular sherd from vessel of uncertain form. Most of surface is vitrified to greenish gray color under intense heat. Yellowish red. Slight coarse fabric with very small, rare red and black inclusions. Yellowish red. Slight coarse fabric with very small, rare red and black inclusions. One small sherd. Slight, somewhat extensive encrustation.